Concert t-shirt design for Squeeze’s U.S. Tour. The design features a distressed Union Jack with “Romantic Gestures Strange” – a lyric from “Take Me I’m Yours” – underneath the flag. 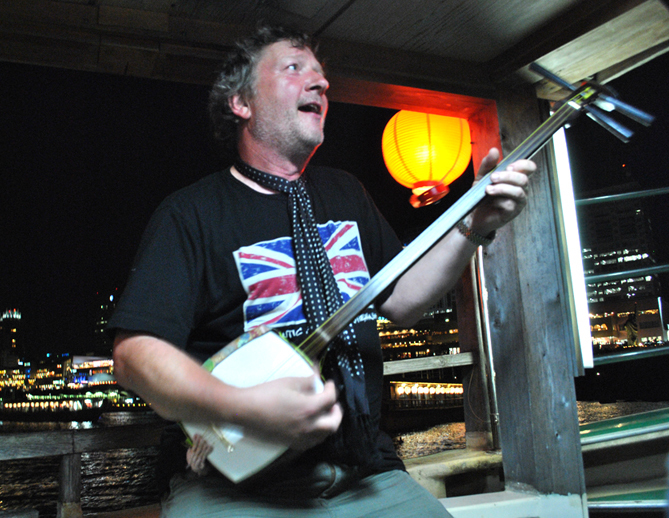 Squeeze singer Glenn Tilbrook sporting our t-shirt design! in Japan! Glenn was in Japan for Love Hope Strength’s musical journey to Mount Fuji. Photo by Oli Powell.